Walking on land isn't their forte, so don't be surprised if they flounder about in the wrong direction. Those spears they carry find their targets well enough, though. Be on the lookout for Water magic, and if they start blowing bubbles your way, move! A direct hit will cause a sneezing fit. 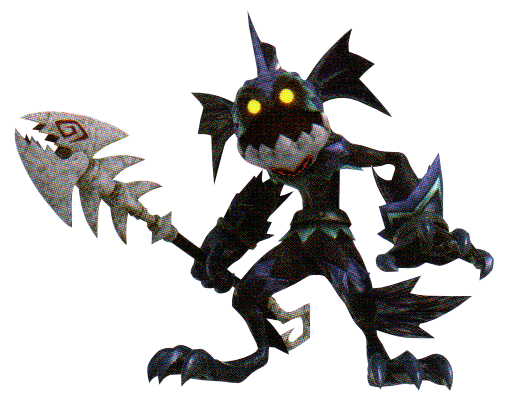 The Spear Lizard is an Emblem Heartless that appears in Kingdom Hearts III. This page was last edited on 26 February 2019, at 04:07.